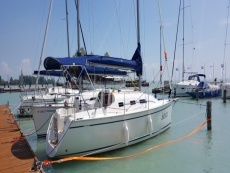 Would you like to try out sailing but you do not have sailing-license? 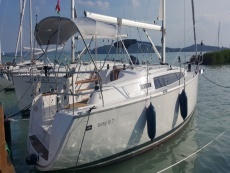 You can choose from the below sailing programs offered with skipper. The tour starting from Balatonfured offers a great view of the Tihany Abbey from the water. Nice view worth trying out. This is also a great surprise-possibility, invite your partner or friends as well. There are not many more beautifule things than the sunset when viewed on board of a ship on the water. We start offf from the port in the evening so that we can get to the right position on the lake to view the sunset. On the one-day-sailintour we start off from the port in the morning and sail to a port nearby. After a nice lunch and some rest at the port we continue sailing. 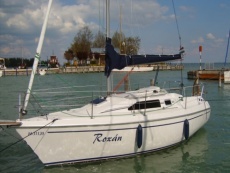 With the help of our skipper you get the chance to drive the sailboat and gather some sailing experience. This is a great program for the whole family who will have a nice sailgin-experience for sure.